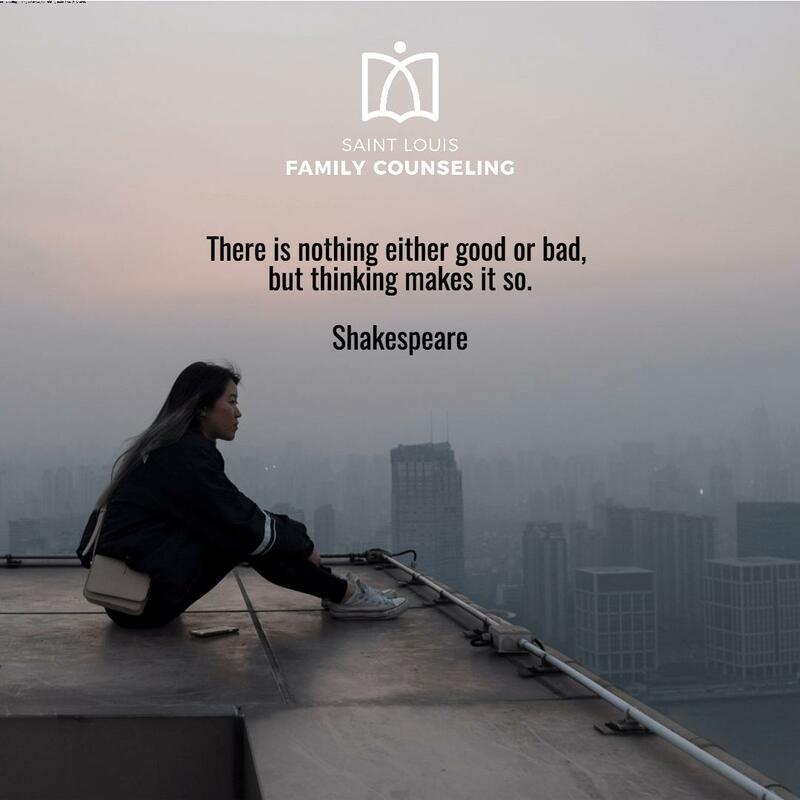 1) There is nothing either good or bad, but thinking makes it so. This saying has been around for a long time. Obviously, since Shakespeare wrote it. The reason that it is still quoted over 300 years later, is because there appears to be some truth to it. Some events in life may seem easier to apply this saying to. Say it’s raining today. You may think, “Oh this stinks, it’s my day off and now it’s raining.” I’m guessing you can also see the benefit of rain. The flowers are probably thinking (if flowers think) “Oh this rain feels so good. I was so thirsty.” What if the event though has more consequences. Say you didn’t get a job you wanted, or get into the school you hoped to go to. You could be all bummed out, upset and find it hard to move on. Or you could think, “well I guess that’s not happening, what’s next?” We never know what tomorrow will bring (as much as we would like to know.) The way you think about the situation can make all the difference in how you feel and how easily you find yourself moving forward. I don’t know anyone that likes to feel painful emotions. It is natural to do all we can to protect ourself from negative, heavy, dark, scary feelings. On the other hand we love positive, happy emotions that make us feel good. 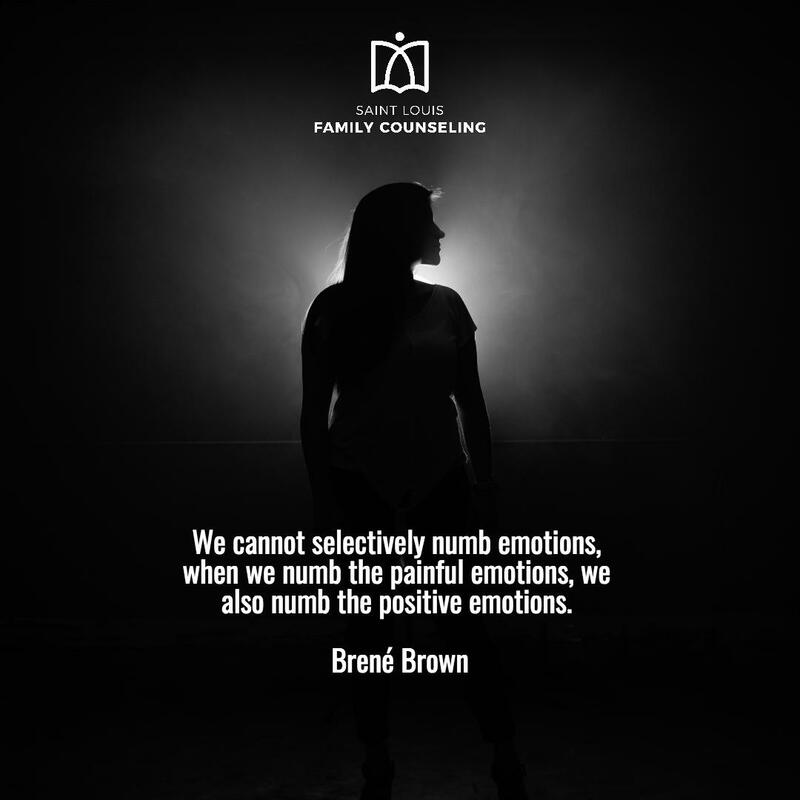 Brené Brown is onto something though, when she says we can’t selectively numb, or shut off certain emotions without effecting all emotions. So how does one not shut down when feeling overwhelmed by pain? 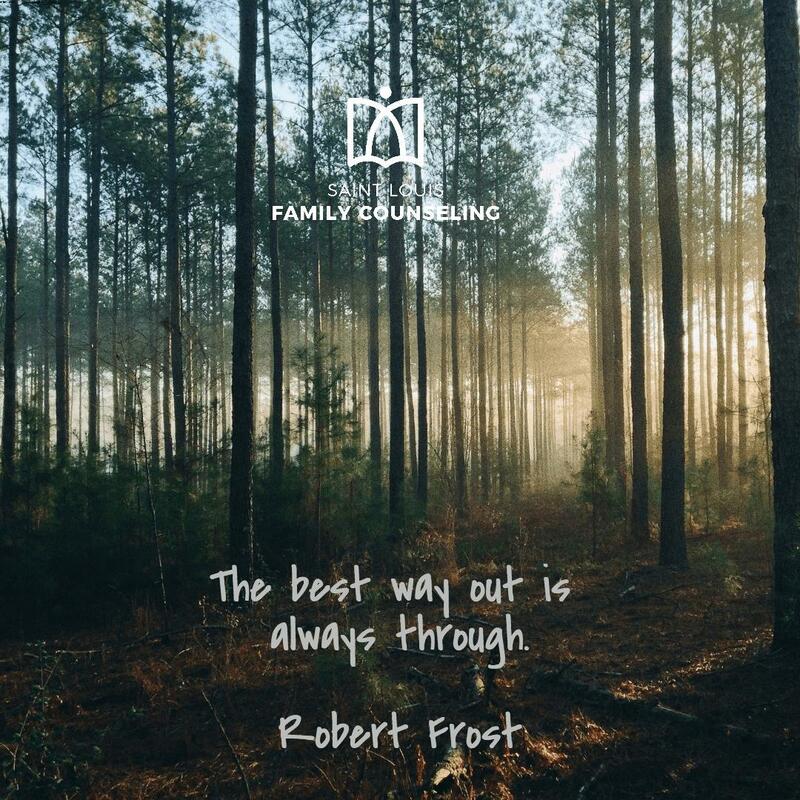 The secret is in quote #6 by Robert Frost, “the only way out is through.” As you go though the pain and keep walking you will find your way out. It’s likely you wont know how, or when, or any of that. But the only way out is to go through it. On the other side you will find joy, happiness, and other positive emotions because you had the courage and strength to go through the painful ones. 3) For it is in giving that we receive. 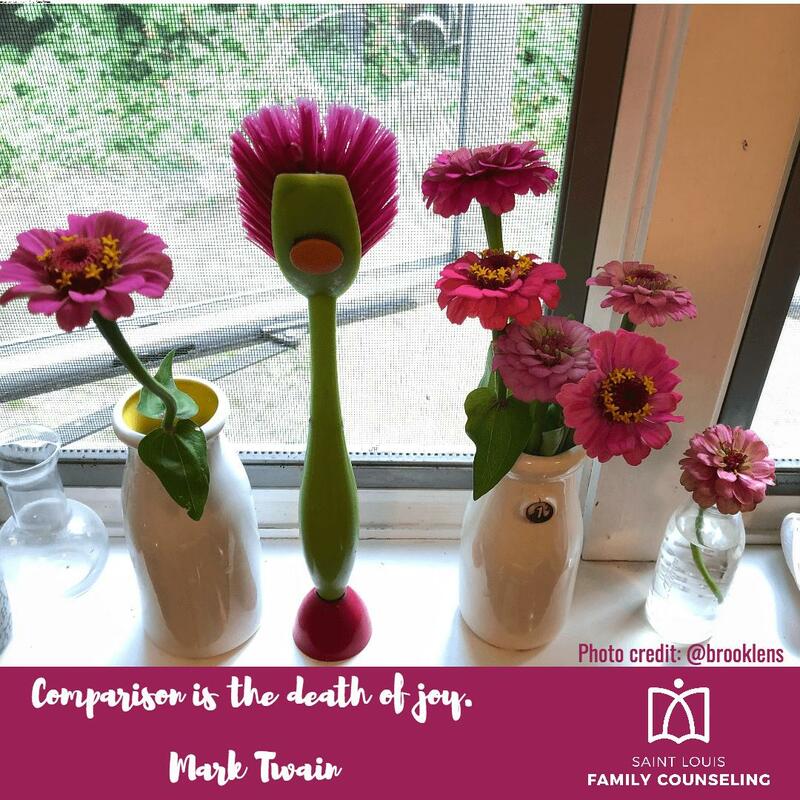 4) Comparison is the death of joy. I absolutely love this picture that my friend Clayton, @brooklens, took. What I love is the dish brush is standing tall and proud and embracing who he/she is. He is not thinking my bristles are not as soft and delicate as the flowers are. Nor is she thinking those flowers are so lucky they get to sit in the sun all day and soon I’m going to have to be in some dirty water cleaning some nasty dish. We can all learn from @brooklens’ picture. We all have our own experience, our own life, the chapters in our book of life are different from all others. In this picture it is the brush that makes me smile. It is the brush who I am drawn to because of who that brush is, the qualities that make up that brush. What are your brush qualities? What makes you stand out, and have other people smile. We all have them, including you! Look! 5) Yesterday is gone. Tomorrow has not yet come. We have only today. It’s true right? From where you are at this moment, it is impossible to live yesterday, or live tomorrow. 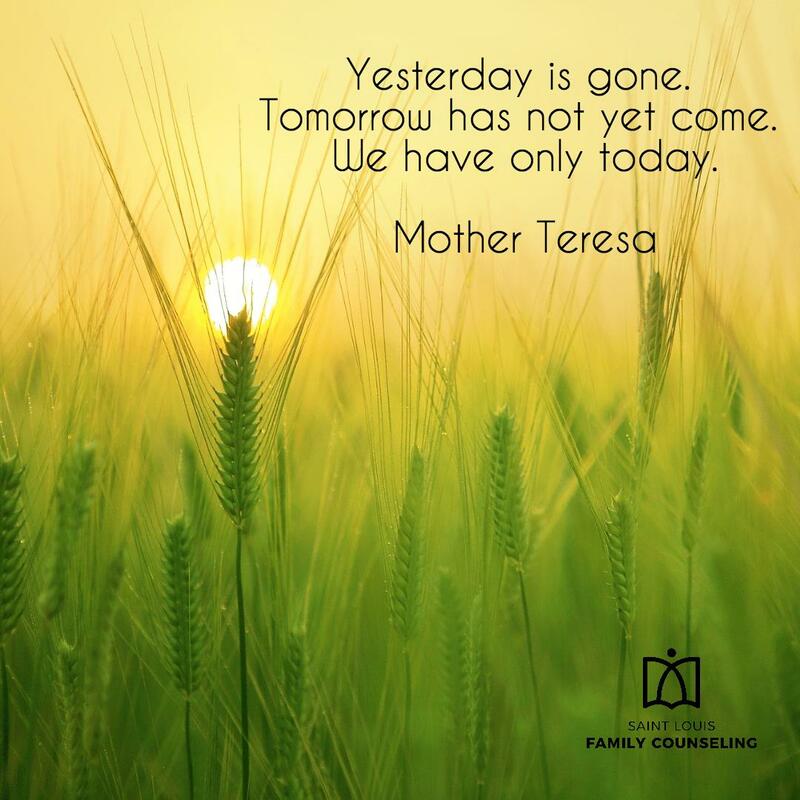 What many people find themselves doing is thinking about yesterday or thinking about tomorrow. Depending what the thoughts are, largely determines how one feels in the present moment, the moment they are actually living. If you find yourself thinking about the past or the future, there are many techniques to becoming more present. If you look around, chances are that right now, at right this very moment, at right this very instant, you are doing ok. Where we can get off the rails, is when we take our attention away from the moment. There are many different mindfulness techniques, and even apps, that can help you stay present. It takes a little practice, but Mother Teresa, was an inspired woman, why don’t you try and experience what she is sharing with the world. 6) The best way out is always through. Have you ever read the children’s book We’re Going on a Bear Hunt? This was one of my favorite books I read to my kids when they were young. I may enjoy it even more now! If you don’t know it here is link to the author, Michael Rosen, reading/performing the book on YouTube. The premise is a family is going on a bear hunt and they come across many obstacles along the way. There is no way to go over or under the obstacles, they have to go through them. What a great lesson to learn as a child. Sometimes life presents us with all sorts of unexpected and undesirable hurdles in life, but if we meet them head on, getting to the other side is usually much easier than we think it will be. Some people, when presented with a hardship get overwhelmed and some don’t meet it head on. They burry it, try not to think about it, try to shut it off, or any number of way not to have to deal with it. The problem is, that in not dealing with it, often the problem grows. 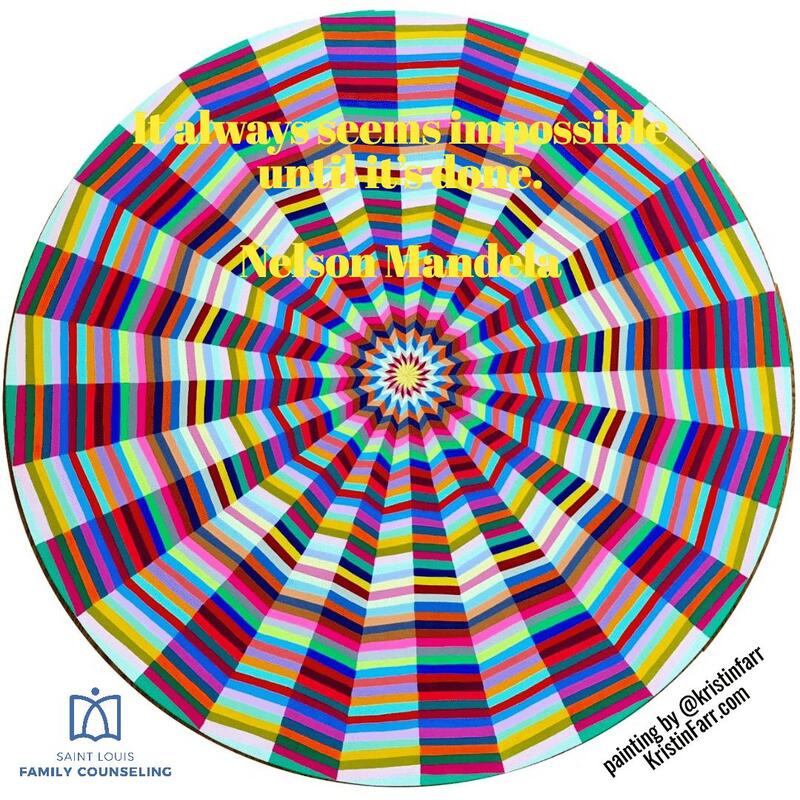 Although it may seem impossible, going through it is often the best way to put it behind you. 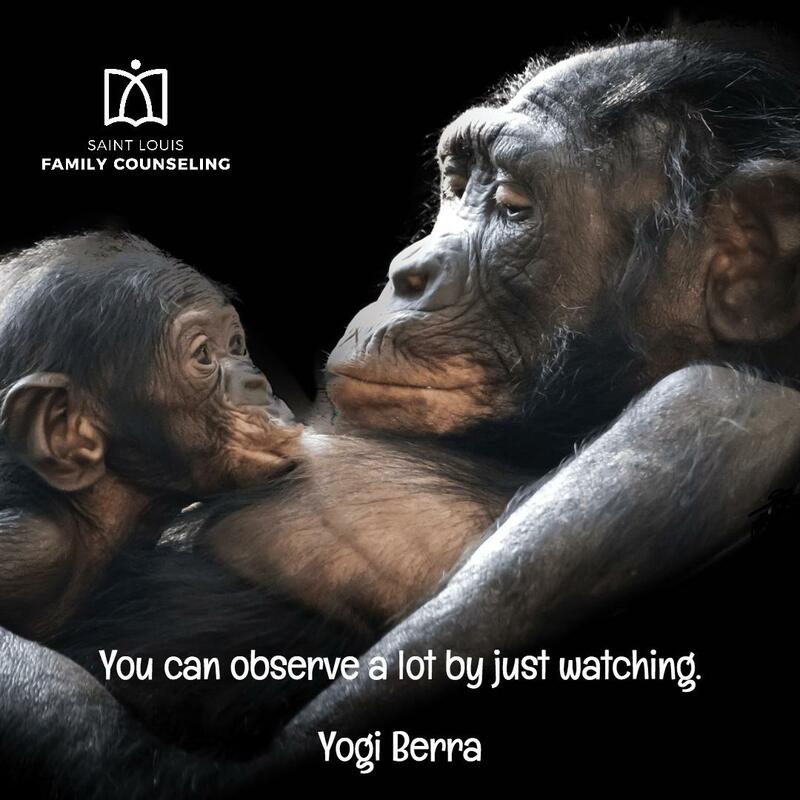 7) You can observe a lot by just watching. No list of quotes would be complete without something from Yogi Berra. He had a way of saying things that are so obvious, but still make you think. There is a lot we can learn by keeping our mouth shut and watching, and I would add listening. When we make assumptions of how something is going to happen, or about what someone is saying to us, we miss out on discovering something new. This quote gets to a similar idea as quote #10. Work to see a new perspective. Try to understand where others are coming from. See if you can view the situation from another’s point of view. If so you’ll observe and learn a lot. 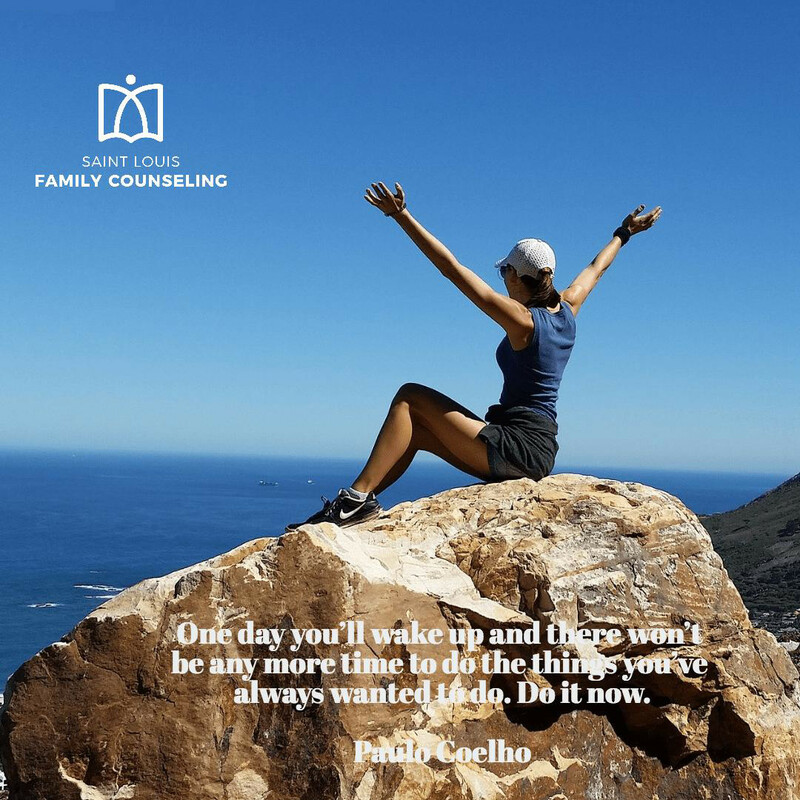 8) One day you’ll wake up and there won’t be any more time to do the things you’ve always wanted to do. 9) Life isn’t about finding yourself. Life is about creating yourself. Some people believe there is a self you need to find. 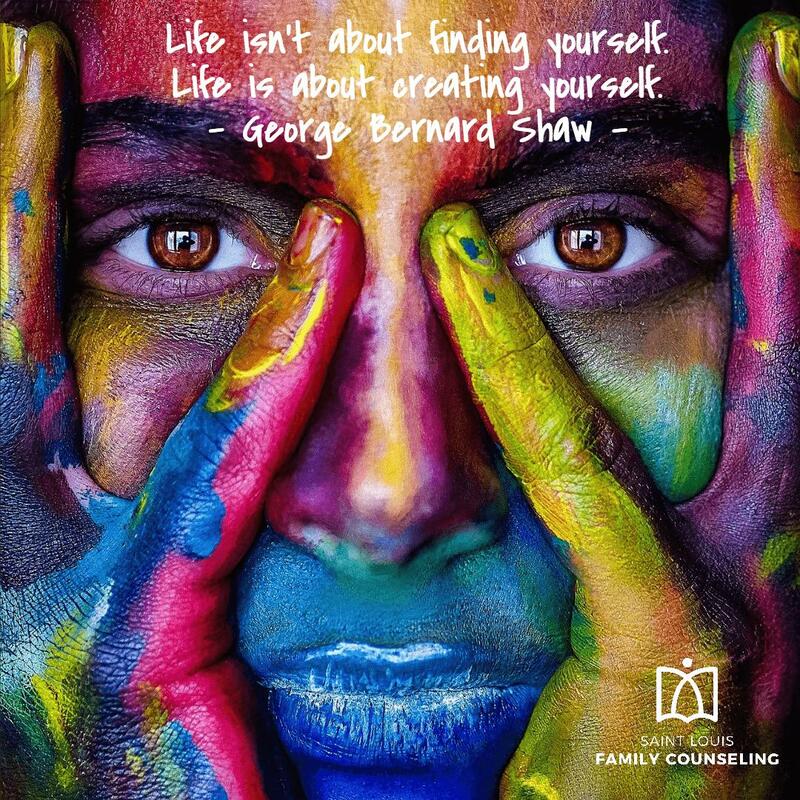 George Bernard Shaw is of the belief that you create who you are every day. Creation is a continuous process, we can create something new every day. Just as there is no shortage of creative output in the world, there is no shortage of creativity when it comes to our lives. Who are you? What do you want? Who do you want to be? These are two, seemingly opposite ideas, one says there is a self you need to find, the other, one that you get to create. For most of my life I fell in the camp that life was something to find, I heard the word ‘discover’ a lot. I now believe we discover who we are on a spiritual level, and create who we are on a human level. 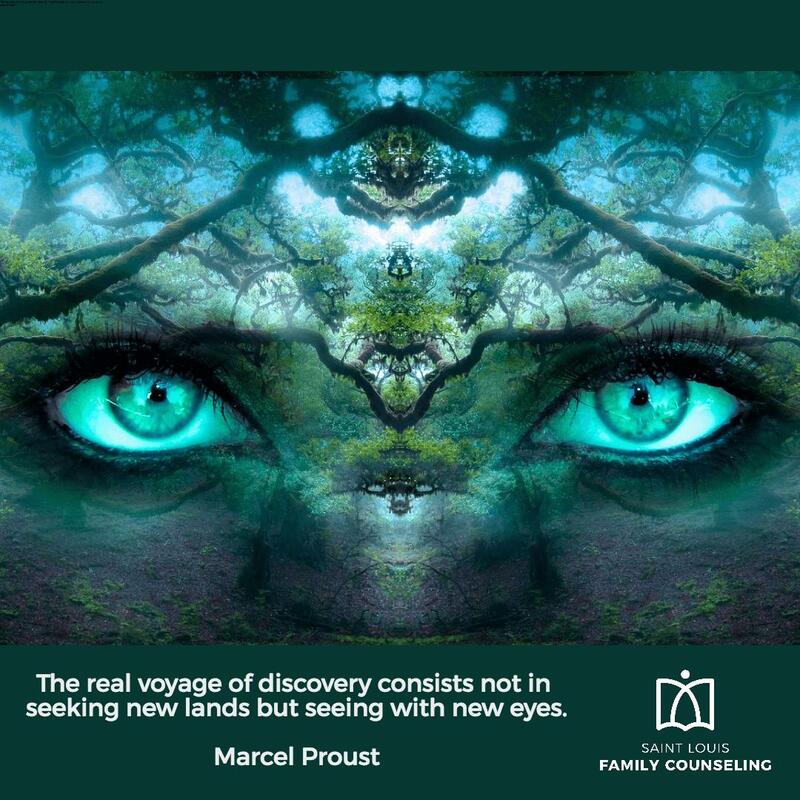 10) The real voyage of discovery consists not in seeking new lands but seeing with new eyes. People often travel to far away lands to see how other people live. To experience other cultures, or see new landscapes. For sure one can be in awe of the beauty of the world, and intrigued by other cultures. And it’s amazing how we can see all these same things anew without leaving our back yard. By seeing with “new eyes” we literally behold a new world. Proust wasn’t the first to present this idea, ancient texts talk about individuals who saw the world differently. Having a sense of curiosity without judgement about the experience of others, about their life, about how they see the world, about what meaning it holds for them, is step in seeing with new eyes. What will you be curious about today? 11) People and things do not upset us, rather we upset ourselves by believing that they can upset us. It takes humility to fully grasp and demonstrate this advise. It may seem that someone has wronged us. We can have piles of evidence. We can gather friends who agree with us. But if we didn’t believe that that person, or that action was upset provoking, we wouldn’t be upset. 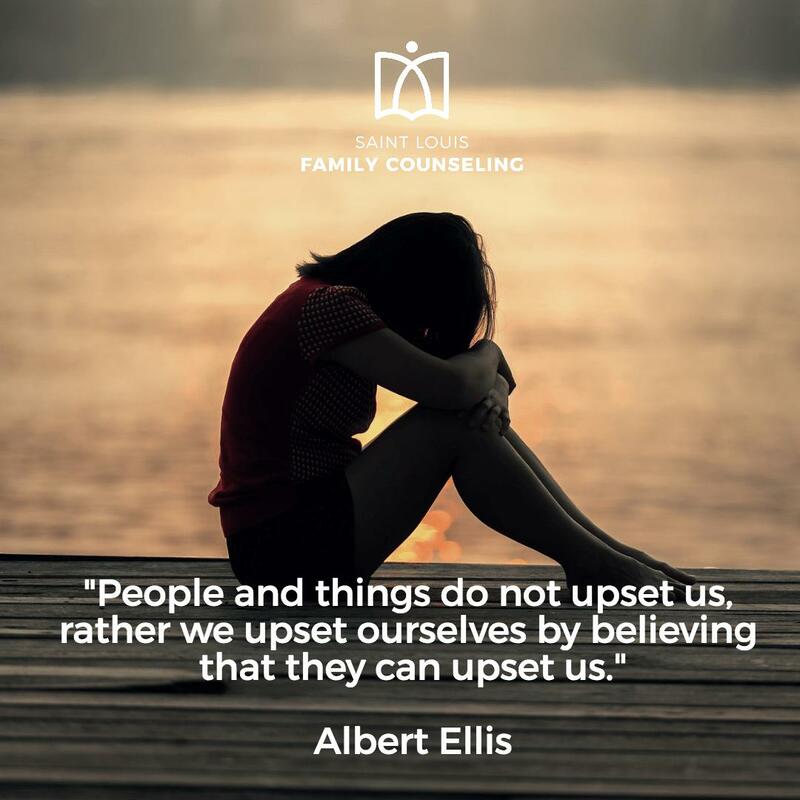 If we saw the individual that we feel was in the wrong as someone who was deeply and profoundly fearful of their situation, maybe we would view the wrong differently. I found myself genuinely moved by the expression of forgiveness that many of the families involved in the tragic Charleston Church shooting had towards the perpetrator. Although I’m sure they were upset, I’m believe their attitude of forgiveness went a long way in their healing process. To some degree they knew that if they allowed themselves to give power to the perpetrator to upset them, they would be worse off. So they didn’t. And it was powerful. 12) Life isn’t about waiting for the storm to pass, It’s about learning to dance in the rain. Doesn’t it seem like life presents us with a bunch of storms? It does to me anyway. But if we hibernate, or check out, or disappear during stormy times we don’t allow the storms to teach us. The storms in our life are the times that we often learn some of our most profound lessons. 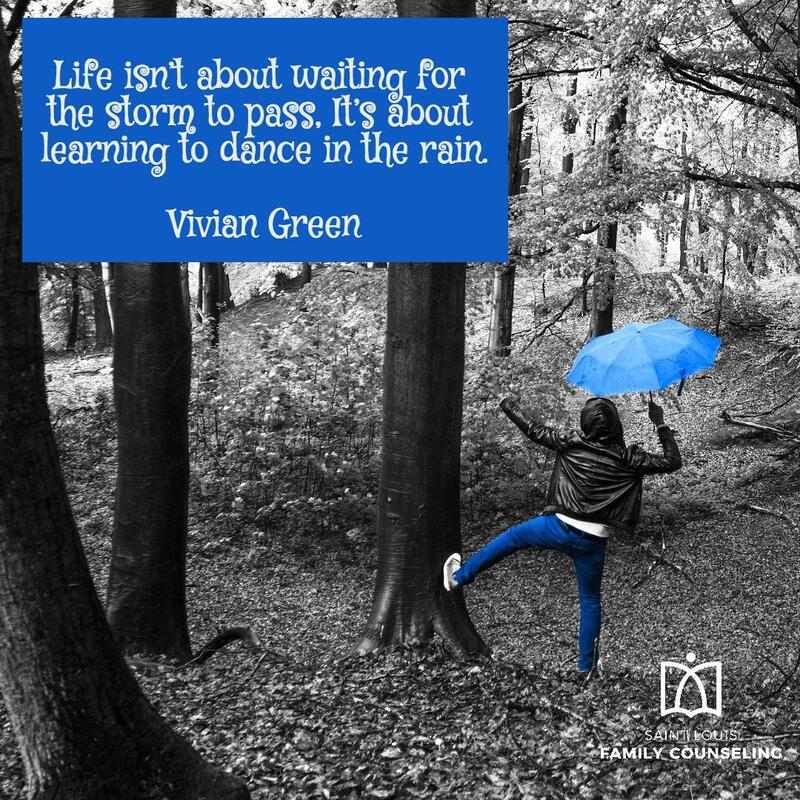 So instead of resisting, embrace and dance in the storm. We may not like getting wet and wind beaten, but when the storm ends the peace that follows is beyond compare. So next time you feel a storm coming on, get out your dancing shoes because great things are on the horizon. 13) The problem is the problem, the person is not the problem. 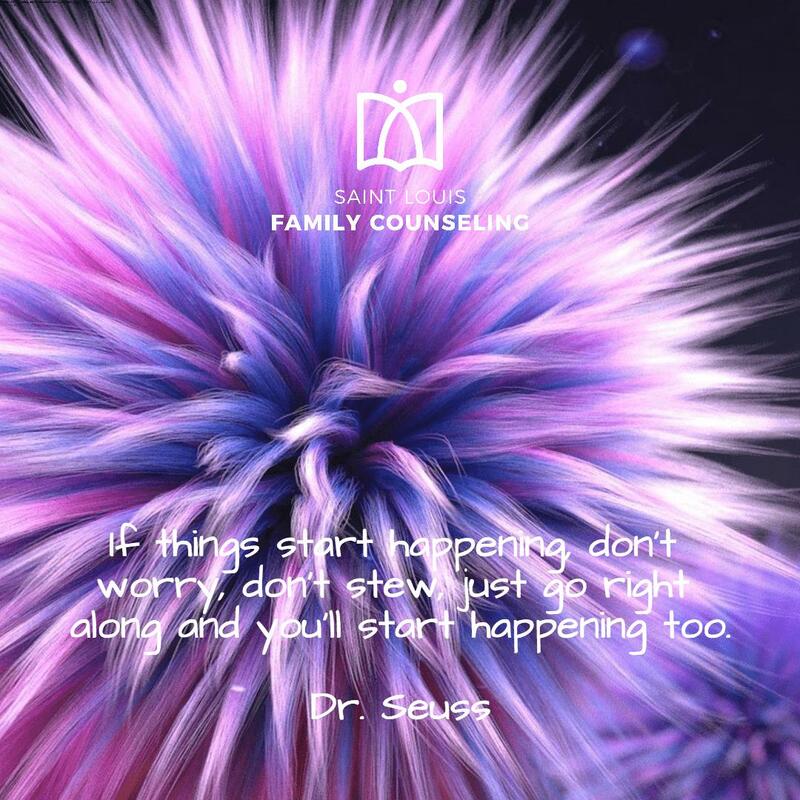 This quote is a good example of my counseling philosophy. When someone first comes to see me I’m not thinking they are the problem. What I’ll likely be thinking is there is a problem, which the client has bought into, a story about themselves or a situation which they believe to be true. 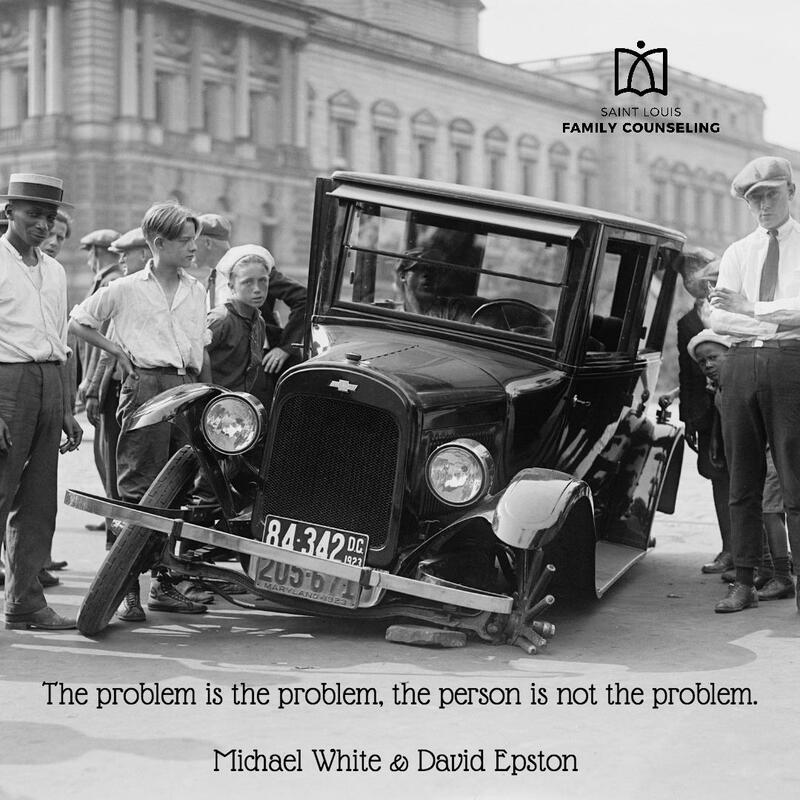 My focus is more on naming the problem, understanding the individual’s relationship to the problem, then from an externalized perspective seeing what can be done about it. What would change for you if you stopped believing you, or they, are the problem? Instead look at the problem as the problem. Would you interact with people differently? Would your focus change? I believe it would and believe it would for the better. 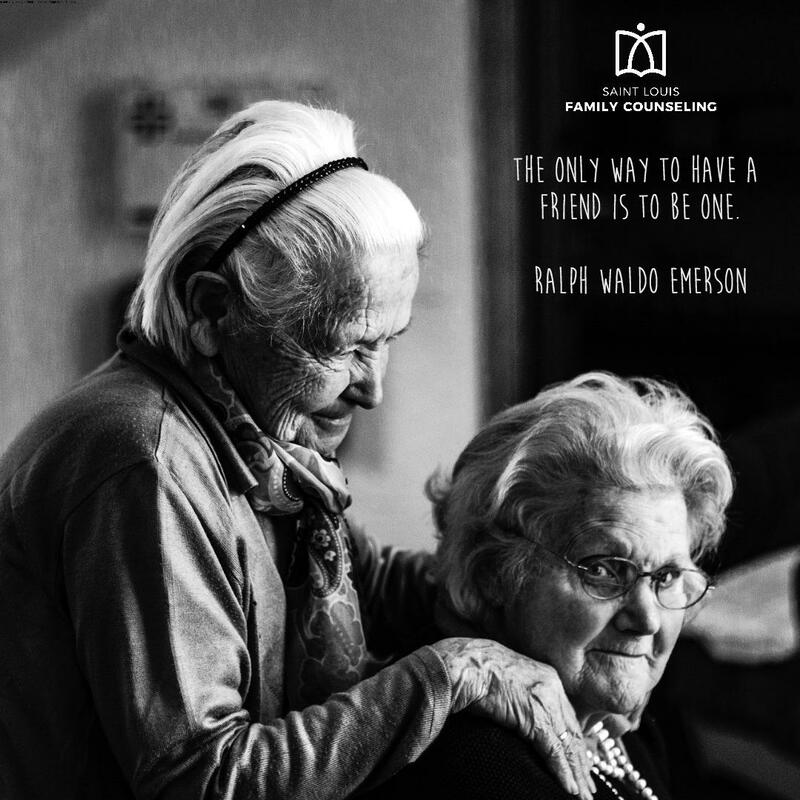 14) The only way to have a friend is to be one. This quote reminds me of a verse I heard as a kid from the Bible. “Give and you shall receive.” There are a lot of non-denominational quotes in the Bible that have survived the test of time. Probably because they contain some universal truth. Anyway, if you feel like you could use a friend, do all you can to be a friend. But here is the trick, be a friend without expecting anything in return. That’s what friends do. 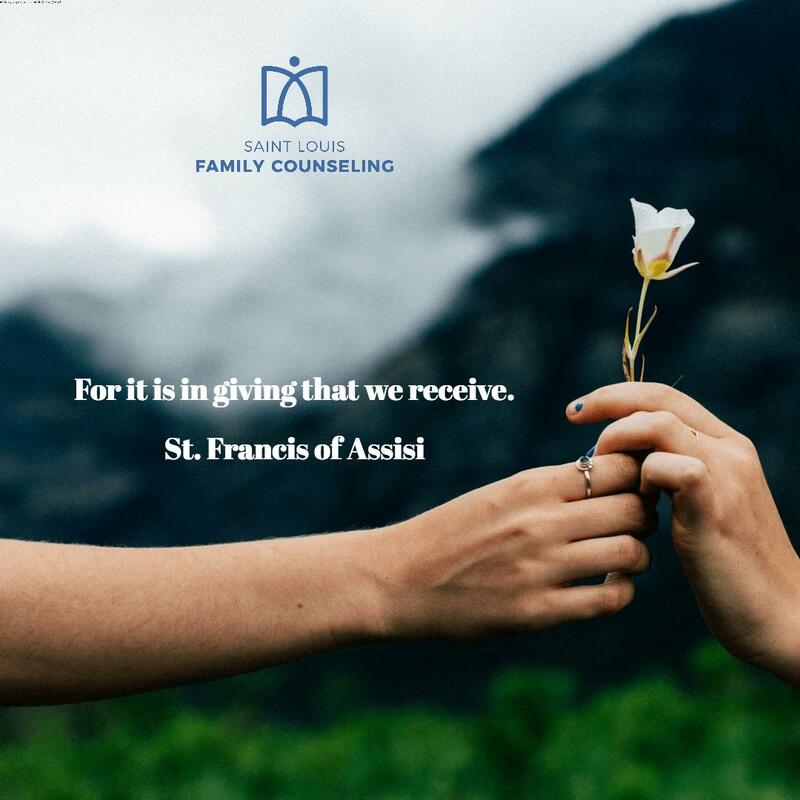 Give, and you will receive. Friend, and you will be friended. 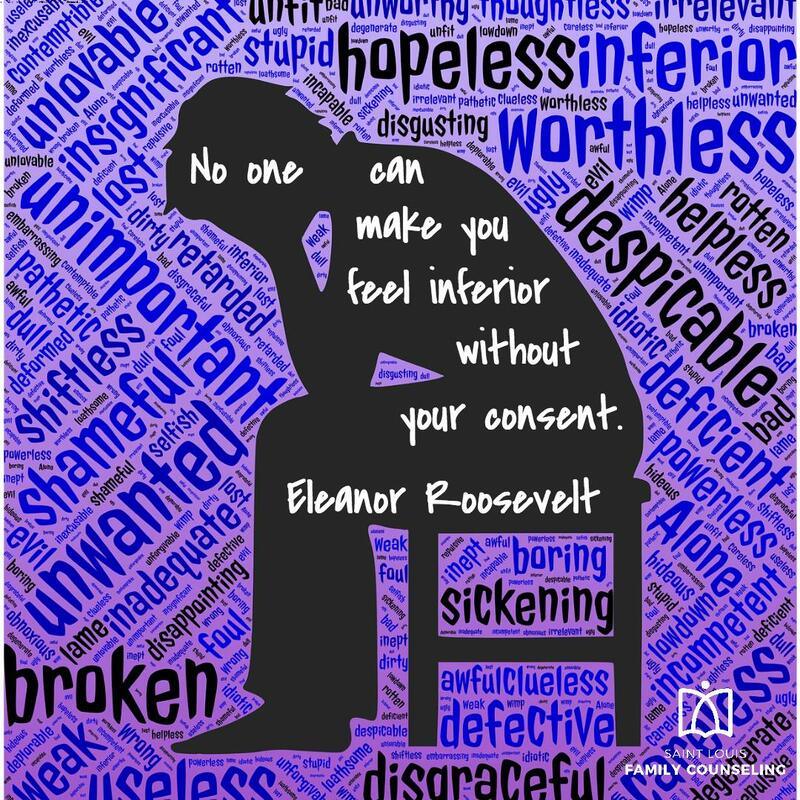 15) No one can make you feel inferior without your consent. 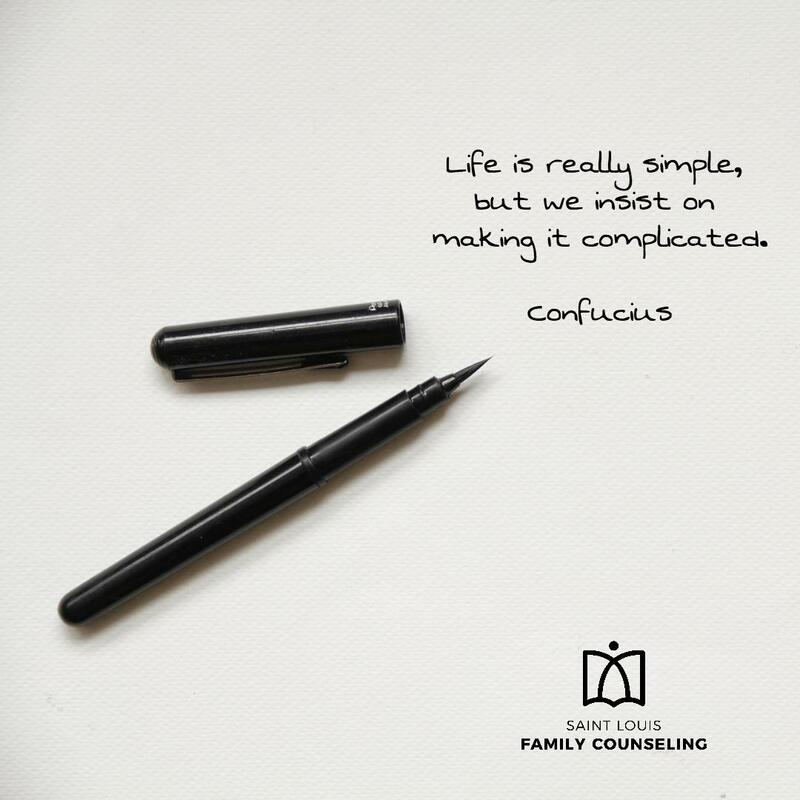 16) Life is really simple, but we insist on making it complicated. I was just looking over many of the quotes in this blog and most all of them are pretty simple to understand. For some reason implementing them seems to be harder to do. Why is that? There was a book which was popular a number of years ago called All I Really Need to Know I Learned in Kindergarten. Click on the title for a summary of its main points. One way I think we can start to realize the truth of what Confucius said, is by focusing on what’s at hand in this moment. Do your best at what is currently in front of you. The reality is that you have been doing you for quite some time and have made it this far. Now focus on what’s in front of you and give it your all. That is enough, that you can do. What’s in front of you may take effort, but if that’s what’s next for you, you can do it. Begin. 17) I’m always doing things I can’t do. That’s how I get to do them. How cool is that? Doing what you can’t do, so that you can do it. Picasso certainly did a lot. I can imagine that at first he had no idea of how to paint in the cubist style, nobody had done it before. But not knowing, wasn’t a reason for him to not do it. He had an attitude of, I can’t do it, so I better do it, so that I can do it. 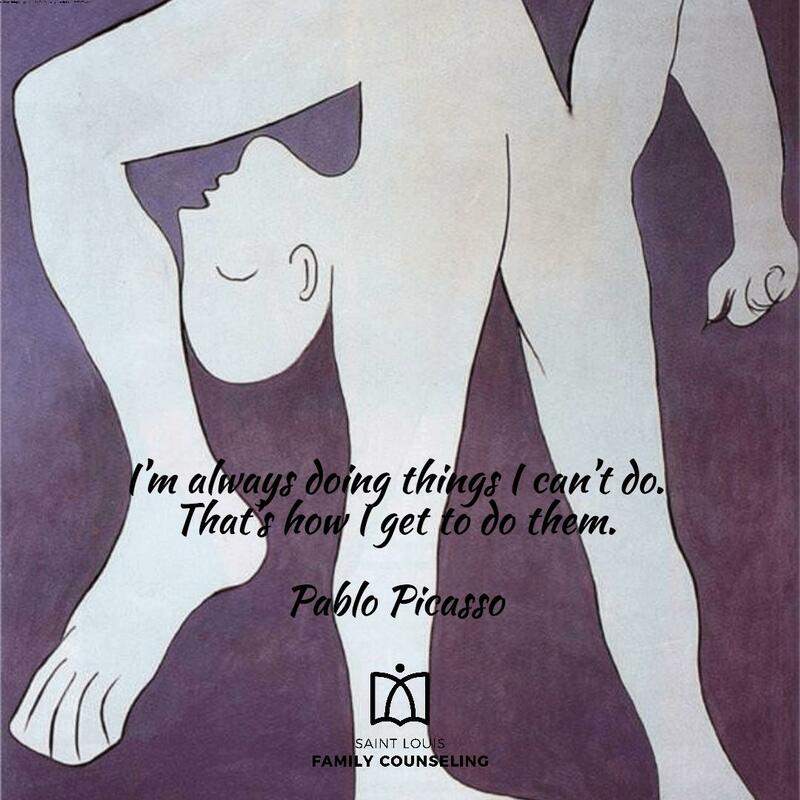 Next time you think to yourself, “I can’t do it,” remember Picasso, and then do it anyway, that’s how you’ll learn to do it. 18) If things start happening, don’t worry, don’t stew, just go right along and you’ll start happening too. 19) If you don’t like something change it; if you can’t change it, change the way you think about it. This reminds me of something I heard years ago. “You can either choose your choice, or you can choose what has been chosen for you.” Somethings are already chosen for us and resisting will only cause consternation and frustration on our part. There is wisdom in accepting what has already been chosen for us. That is not to say you never have a say. Obviously, somethings you can change, need to be changed, and you may be the person to make that change. Approaching situations with humility, making sure fear and doubt are not the motivation for the change, help insure your motives are influenced by the best intentions. 20) It always seems impossible until it’s done. How true is this? Can you think of something you used to think was impossible, then you did it, and then it didn’t seem like such a big deal? The unknown can be scary, maybe it even feels impossible until we experience it. And then it’s no longer impossible. If you haven’t had this experience take action to do something that seems scary or even impossible. Chances are you’ll be pleasantly surprised. 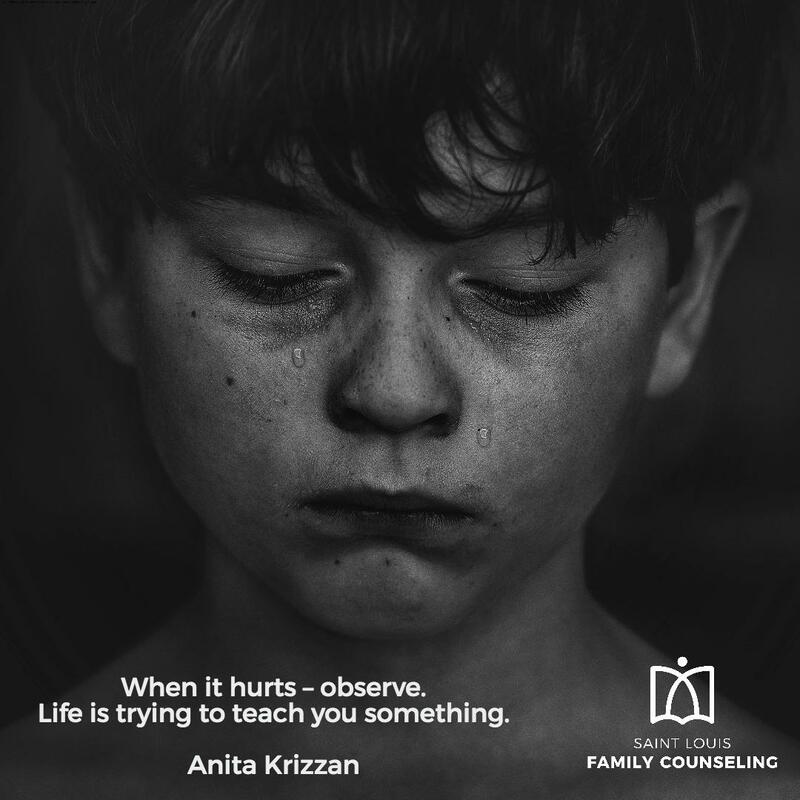 21) When it hurts – observe. Life is trying to teach you something. Ask anyone over 30 years-old about some of the greatest lessons they’ve come to understand. I bet they will say there was some level of “hurt” that preceded that lesson. 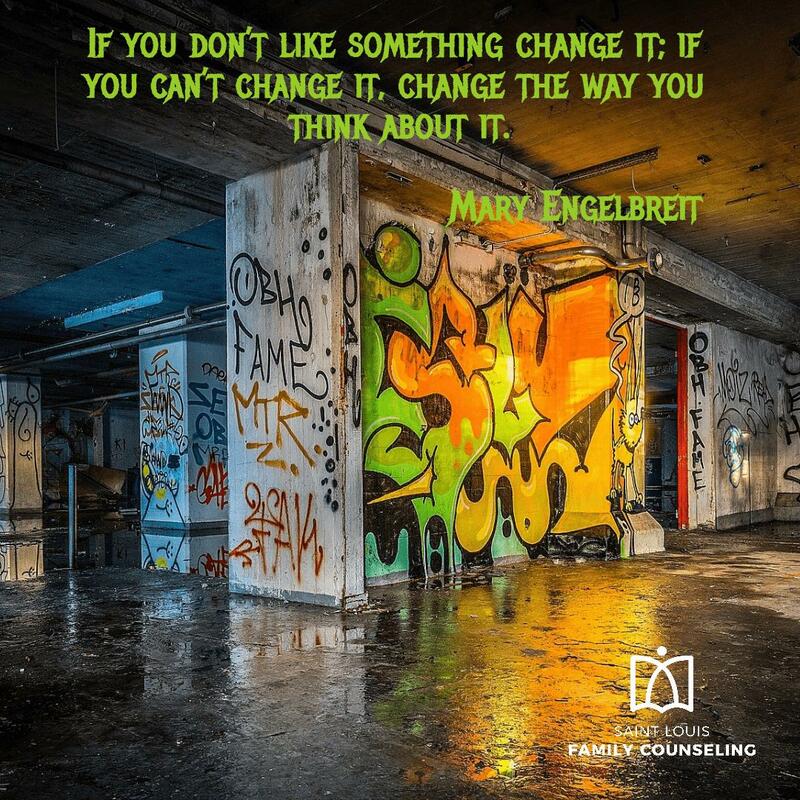 Heed what Mary Engelbreit in quote #19 and change the way you think about hurt. Instead of resisting and trying to escape the hurt, ask yourself what is it that I can learn from it. Our time on this planet will continually present us with lessons to learn. We will keep getting an opportunity to learn what life has to teach us until we learn it. Better to not run from the opportunity even when it is painful, as life seems to have a way of teaching us what we need to learn and the sooner we embrace the lesson, the sooner we can move on. Feeling Stuck? Suicide in my community.